Brookfield Central built a wall around the basket in its WIAA Division 1 state semi-final contest with Neenah Friday night at the Kohl Center in Madison. As a result, Neenah took 25 of its 51 field-goal attempts from outside the three-point arc and made just eight while dropping a 61-47 decision to the Lancers, who improved to 22-5 and advanced to the Division 1 championship game for the first time in school history. The Lancers, who are making their 11th trip to the state tournament, take on Sun Prairie (21-6) in Saturday's title contest. "I thought we battled defensively like we needed to," Neenah coach Lee Rabas said. "At the end of the day, we didn't make shots. When you shoot 33 percent, you are going to struggle." Neenah managed just five points and made just 1 of its first 12 shots in the first eight minutes of the game and trailed 17-5 after a jump shot by Brookfield Central freshman Andrew Rohde (6-1). The Rockets, who ended the season with a 19-8 record, finally found the range over the final 10 minutes of the opening half and managed to tie the game on two occasions before entering intermission with a 26-23 deficit. However, when the Rockets went cold again in the second half, Brookfield Central slowly pulled away. "We talked about making them work as hard as we could and to try to make them take contested shots," Brookfield Central coach Dan Wandrey said. "The fact our guys were ready to get into gaps and force the extra pass made things difficult for them." 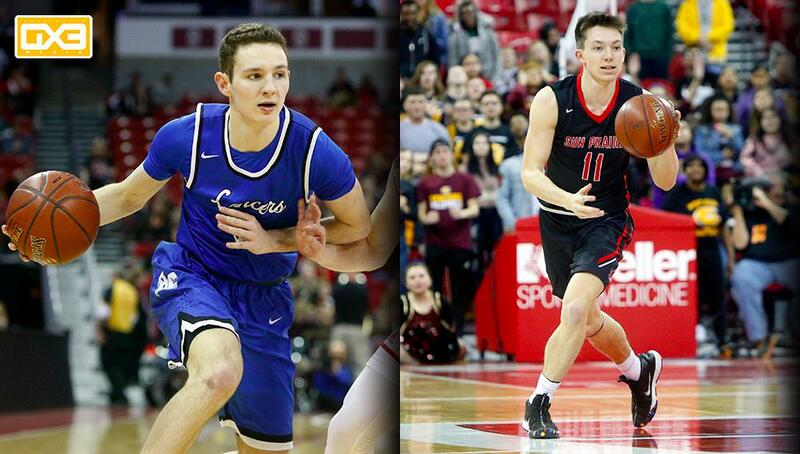 The ringleader for the Lancers' stellar defensive effort was senior guard Cole Nau, a 6-foot-3 stopper headed to Hillsdale College in Michigan on a NCAA Division II basketball scholarship. Nau, among the better defenders in Wisconsin, kept Neenah standout Max Klesmit (6-3) in check for much of the contest. Klesmit came into the game averaging 24.5 points per game, but managed just 15 points on 5 of 17 shooting from the floor against the Lancers. Nau alsow as outstanding on the other end of the court as he scored 21 points and made 7 of 9 shots from the field. He also grabbed 8 rebounds, had 6 assists and came up with 3 steals. Sophomore forward David Joplin (6-6) added 12 points and 7 rebounds while sophomore Ben Nau (6-1) contributed 10 points and 5 rebounds. "Neenah was exactly what we expected," Wandrey said. "They a tough, gritty team that doesn't back down. We made enough shots and free throws at the end to be able to hold them off." After losing to Brookfield East in overtime in last year’s semifinals, the Cardinals had a state semifinal thriller go their way on Friday by hitting their free throws in the extra period and hanging on against the Bulldogs. “We were down eight in the first half, but I’ve said all year about this particular group that they’re really resilient,” Sun Prairie coach Jeff Boos said. The Cardinals (21-6) had a three-point lead in the final seconds of regulation before Central’s Glenn Martin hit a line-drive three-pointer to send it to overtime. In the extra period, Sun Prairie made nine free throws and grabbed a rebound off a Bulldogs’ missed free throw with a second left to preserve the win. The game had a lot of brief runs by each team but never got into a smooth flow as it featured a lot of physical play. Sun Prairie limited Jacob Fierst, the Bulldogs’ leading scorer at 21 points per game, to just five points on 2-of-13 shooting. Shilo Bowles made up for Fierst’s frustrating night by scoring 17 points, including 14 in the first half. Martin led Central (22-4) with 18 points as it took its biggest lead of the game early in the second half at 31-21. Hale battled early foul trouble to finish with 14 points, sharing team honors with Brock Voigt.